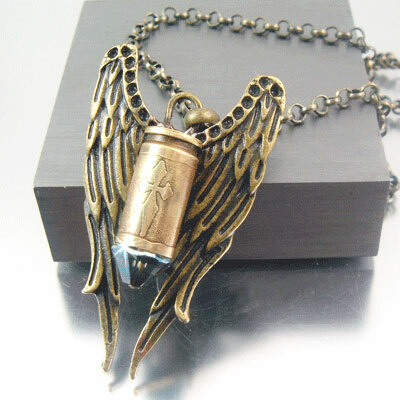 This stylish angle wing necklace is part of the newest design of bullet jewelry called the "Archangel" collection first created and originally released in September 2012 by designer Julie Teeples. 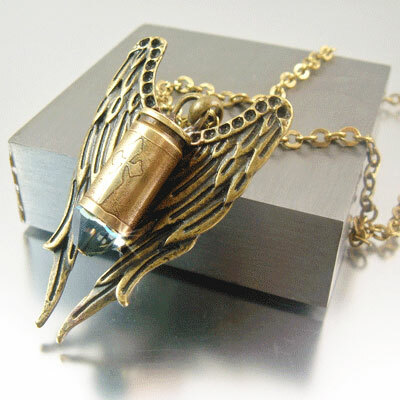 The angel wing jewelry design is unique, stylish, breathtaking to say the least, and beautifully done. 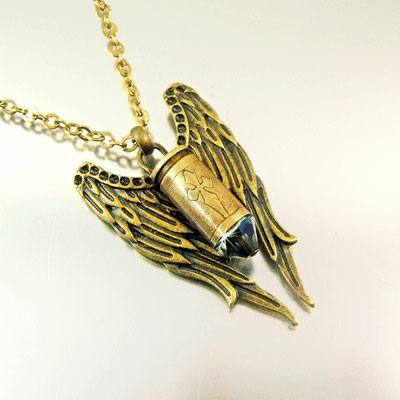 This 9mm caliber bullet shell is named after the angel Michael, his name is a battle cry; both shield and weapon in the struggle, and an eternal trophy of victory. 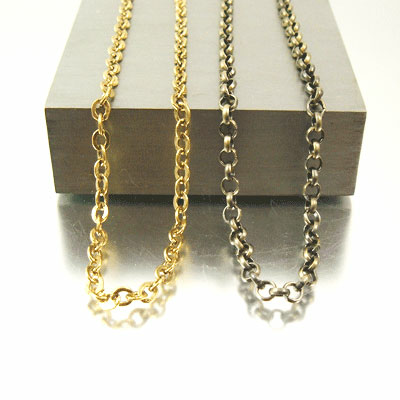 The impressive yet manageable 2-1/8" L x 1-2/4" W size pendants come with your choice of either a 4mm antique brass chain, a GP large link chain or for a casual look; a black leather adjustable cord. 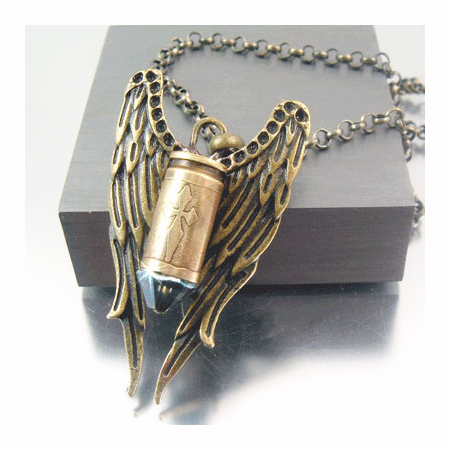 The Archangel line of bullet necklaces are stunning and make a wonderful and unique one-of-a- kind gift for anyone who may need a little protection by the angels amongst us. 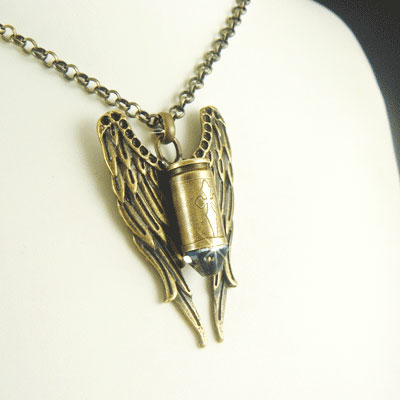 This angel winged bullet necklace will be made for you once it is ordered, please allow for additional days prior to shipping. 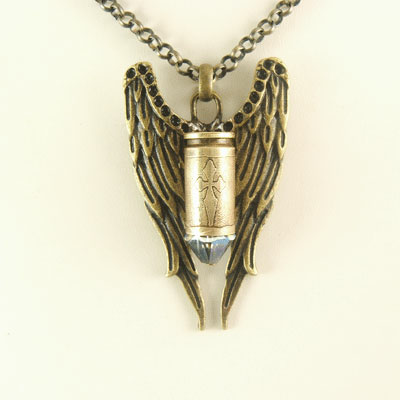 All images, ideas and concepts found on this web site and/or galleries are the intellectual property of the artist who created them and are protected by copyright.